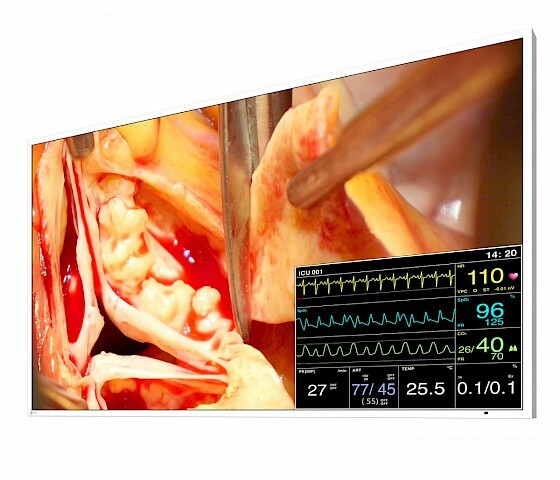 This 49” widescreen monitor is ideally suited for viewing medical images under OR conditions. Numerous input and output signals, image combination capabilities, and gamma models pre-calibrated at the factory enable its use within the widest range of applications. With its fan-free design and water-tight, easy to clean front, the monitor is perfectly suited for sterile hospital environments.